Eric Benton, an idealistic young Midwestern Peace Corps volunteer, could hardly have known that his mission to help an African village would embroil him and his colleagues in the political struggles of an emerging African nation. The people of central Africa likewise had no idea how quickly their expectations for freedom could be taken away when a ruthless dictator seizes power. And Tarzan of the Apes had no idea that before long, he would be compelled, once again, to undertake a long and perilous journey with the Waziri to save their families. Set against a backdrop of political unrest in modern Africa, Thomas Zachek’s latest page-turner takes the reader from the dank treasure troves of the lost city of Opar to turmoil in the city streets as Tarzan battles one of his most ruthless foes! 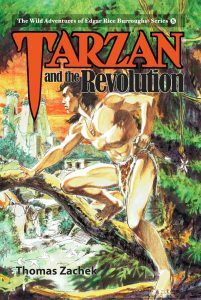 Order your copy of Tarzan and the Revolution today (available in Soft Cover and Hardcover with Dust Jacket) and enjoy this exciting new adventure – Book #8 in The Wild Adventures of Edgar Rice Burroughs’ Series atERBurroughs.com. and Amazon.com. 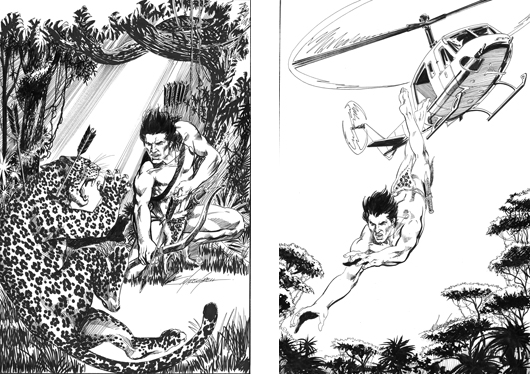 Thomas Zachek grew up on Tarzan movies and, to a lesser extent, the comics. 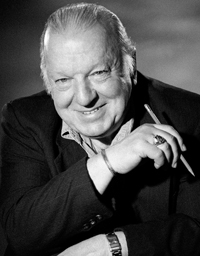 He became hooked on the real Tarzan in high school after picking up a new Ace paperback edition of Tarzan and the Lost Empire for fifty cents–the one with the Frank Frazetta cover with Tarzan hanging from a limb on a cliff overlooking the Roman city. Thomas went on to collect the entire series of Ace and Ballantine paperback reissues of Burroughs’ Tarzan tales (he still has them). Thomas discovered that Burroughs’ stories were quite unlike the family-friendly Tarzan of the movies, with Johnny Weismuller as the hulking hero living for some reason in the jungle with a classy, aristocratic Jane. No, Burroughs’ hero was actually a British lord who spoke educated English and had a fascinating backstory. 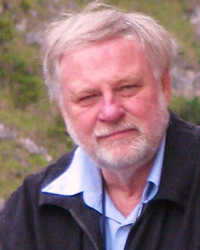 Thomas was impressed with the superior level of development and action in these tales. 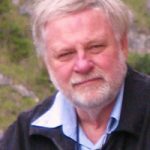 We invite you to share your thoughts and comments with Thomas atzachekbooks@gmail.com. Mike Grell is a legendary, award-winning artist who has worked on many titles including Legion of Super-heroes, Green Arrow and Green Lantern. 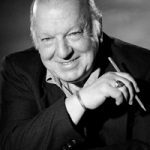 Plus, he has created numerous titles of his own, including Starslayer, Shaman’s Tears, Bar Sinister, Maggie The Cat, Warlord and Jon Sable, Freelance. 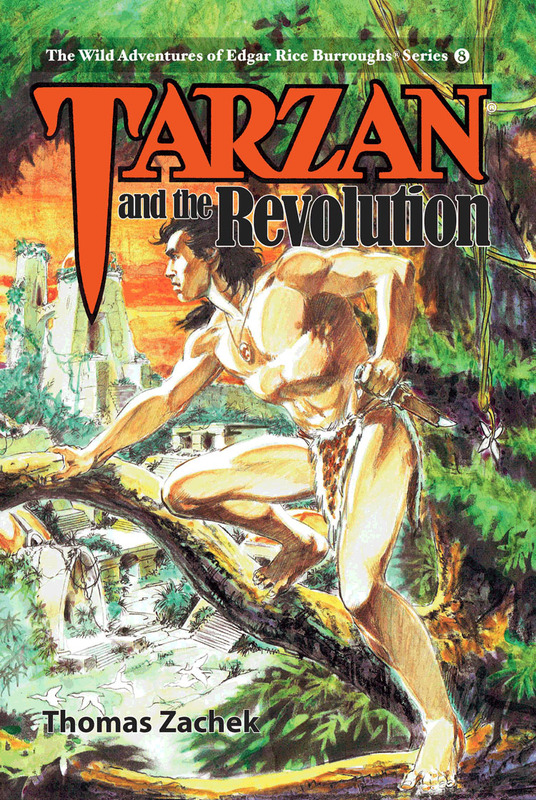 Mike wrote and drew the Tarzan comic strip from July 1981 to February 1983. 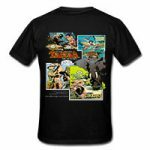 Tarzan Wild Adventures T-Shirts Tees featuring your favorite Edgar Rice Burroughs character from Tarzan® to Korak to John Carter of Mars to The Lad and the Lion to Carson of Venus and many more are available in our online store. Images are from our Comic Strip Subscription stories which are created by well known writers and artists. See our ERB store for all the Edgar Rice Burroughs® Comic Strip TEES. Also you can visit our Amazon Store for additional items such as sweatshirts and new Tee designs. Trademarks: Edgar Rice Burroughs® / The Wild Adventures of Edgar Rice Burroughs book series: #1 Tarzan: Return to Pal-ul-don™; #2 Tarzan On the Precipice™; #3 Tarzan Trilogy™; #4 Tarzan: The Greystoke Legacy Under Siege™; #5 A Soldier of Poloda [Further Adventures Beyond the Farthest Star]™; #6 Swords Against the Moon Men™; #7 Untamed Pellucidar™; #8 Tarzan and the Revolution™ – all owned by Edgar Rice Burroughs, Inc.
All story titles and content in the Wild Adventure Series are copyright ©Edgar Rice Burroughs, Inc. All Rights Reserved.